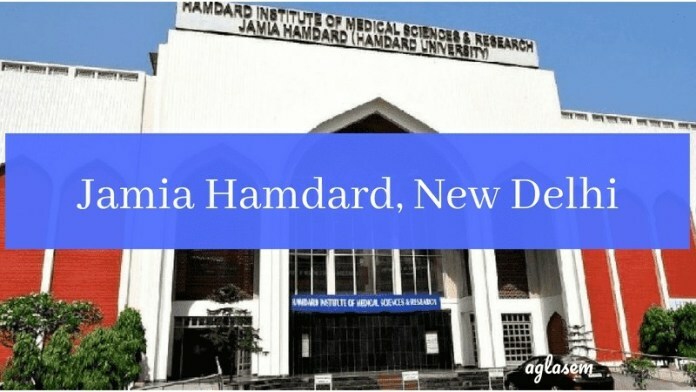 Jamia Hamdard Result 2018 – releases on the official website. Students appeared in the exam can check the annual exam result online and in their respective departments. The result released online should not be considered as the final result. Students can collect their mark sheet from their departments. Through online students can only check the marks obtained in the exam and the status of the result (Pass / Fail). After the declaration of the annual / semester examination result, students can even opt for revaluation if they are not satisfied with the marks obtained in the examination. The students who wish to improve the previous performance can appear for the improvement exam. Check the article for more details on Jamia Hamdard Result 2018. Latest: Jamia Hamdard University has released Odd Semester Exam Result. The students qualifying in the semester exam will be promoted from 1st semester to 2nd semester and from 3rd to 4th semester. The promotion shall be automatic. Promotion to 3rd semester is done if the students have passed in each theory and practical courses separately in 1st and 2nd semester. Check the table for Jamia Hamdard Result. How to check Jamia University Hamdard Result 2018? Students not satisfied with the marks obtained in the exam or failed in the exam can apply for the revaluation / re-totalling. The revaluation / re-totalling is allowed for 25% of the total paper only. Re-totalling / Re-Valuation for Practical examination / Project/Assignments/Internal Assesment marks are not allowed. The application form regarding re-valuation / re-totalling will be accepted within the prescribed date or within the 15 days from the issue of the mark sheet. No application form shall be accepted after the prescribed date. The amount for totalling of marks is Rs.100/- per paper and Re-valuation is Rs.1000/ per paper. Students have to download the application form and have to fill in the own handwriting. The filled application form along with the original mark sheet issued by the university should be submitted in DODL headquarter. If the students wish to improve the marks of the previous exam will be allowed to appear for improvement exam. The student will be allowed only once to reappear in the semester exam of upto 4 theory courses along with the regular students of that semester. The students should inform the head of Department two month before the date of semester exam is to be held. If the student improves in the improvement exam then they have to submit the earlier mark-sheet / degree and a new mark sheet will be issued to those candidates. The new mark sheet will bear the year in which the student improve the marks. If the marks obtained is less, than the marks obtained earlier will remain the same. The fee for improvement exam will be double the current exam. The students appearing for improvement exam must make sure to collect their Admit Card to attend the exam.